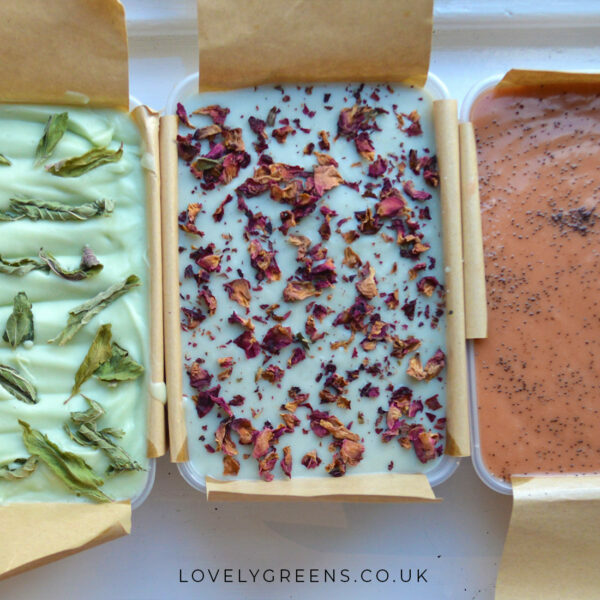 In Lovely Greens soap making lessons you’ll learn to make natural soap using pure oils and natural colour and fragrance. 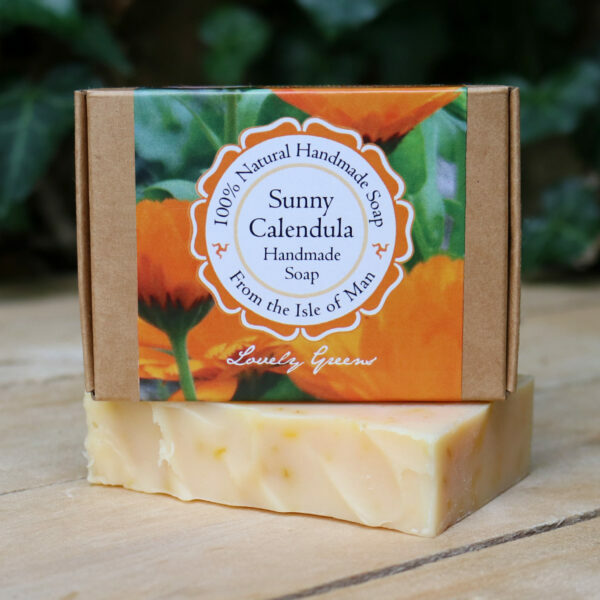 Making your own soap is a creative and useful skill to have and once you learn how, you can make your own bars of natural soap for personal use or to give as gifts to friends and family. 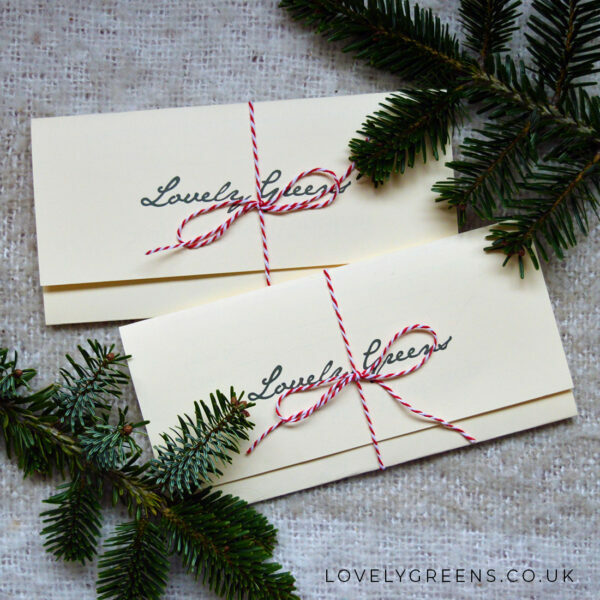 Read reviews for Lovely Greens soap making lessons here. 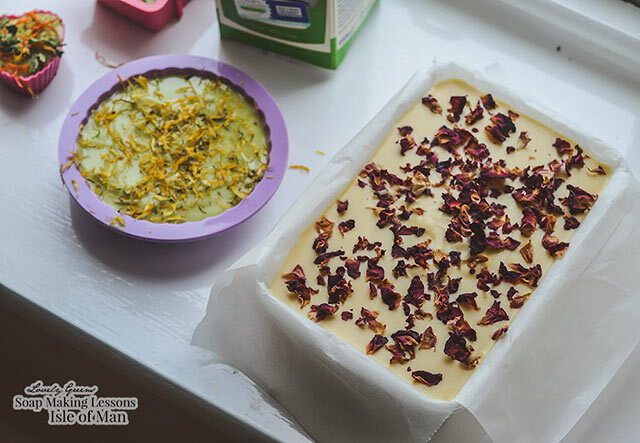 In the lesson you’ll make two batches (10-12 bars) of handmade soap using pure oils, natural fragrance, natural colours, and dried flowers and botanicals. 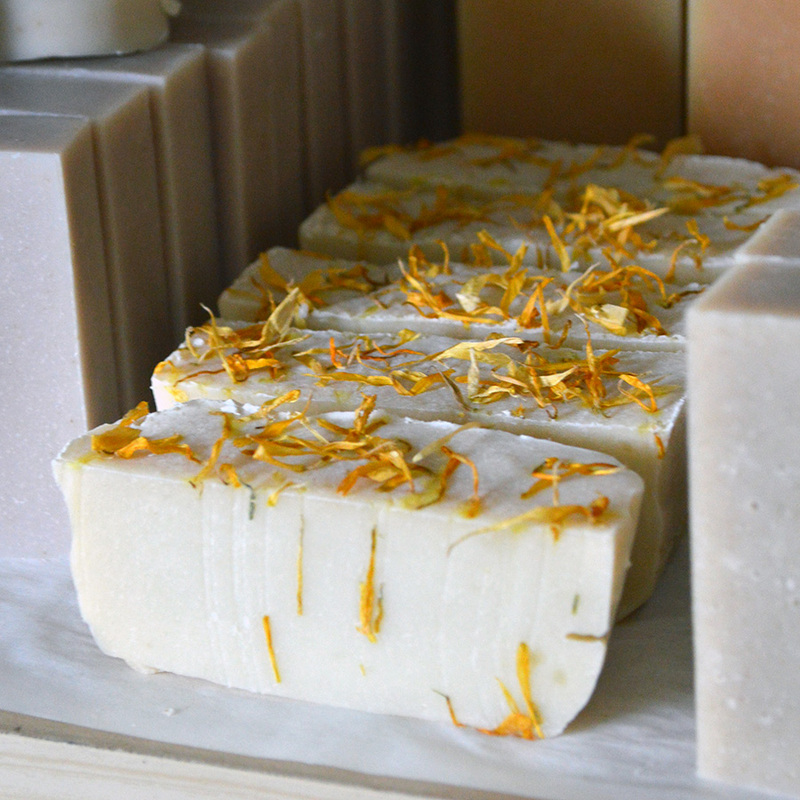 After the class you’ll take your soap home, slice it into bars, cure it, and be on your way to being self-sufficient in cold-process soap making. You may book through this website using PayPal (or your debit/credit card via PayPal) or Email Tanya for further payment options. If you’d like to purchase a general voucher for any of the open lessons in the next 12 months, you can do so here. 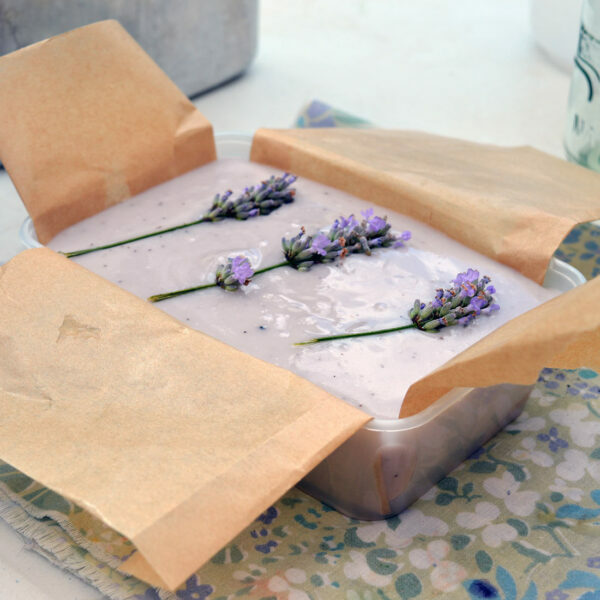 During the lesson you’ll learn the basics in making a first batch of soap. 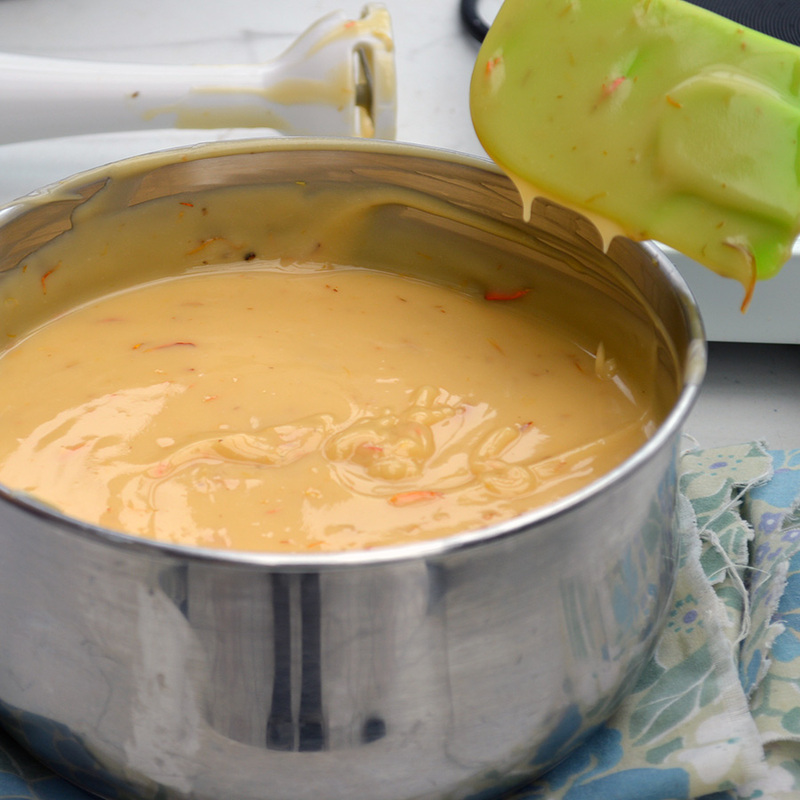 Afterwards, you move straight into making a second batch. In making both you’re able to choose your own fragrance and colours. 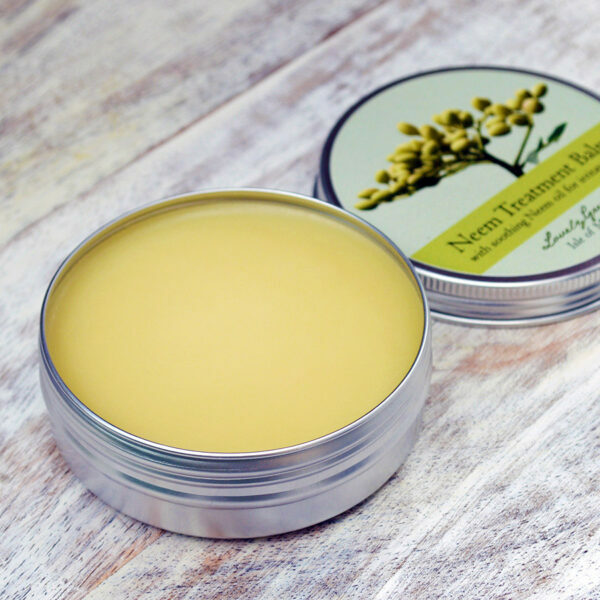 Some of the essential oils you can choose from include: Lavender, Patchouli, Citronella, Lemongrass, Peppermint, Rosemary, Sandalwood, Ylang Ylang, or you could go for unscented. Dried flowers and minerals can also be used to decorate and to naturally colour your bars. 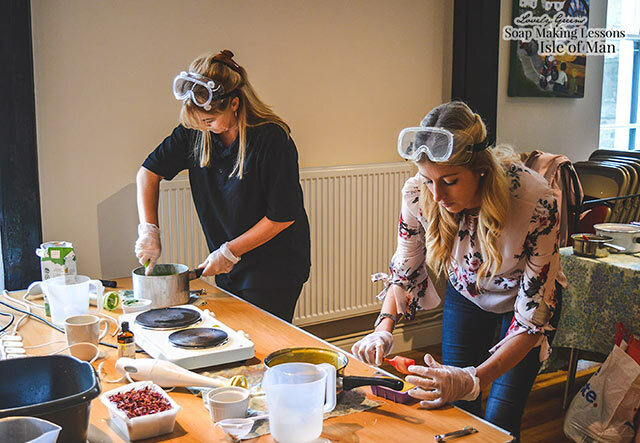 Open soap making lessons are held at the Laxey Working Men’s Institute on the Isle of Man and the duration is about 2 to 2.5 hours. Light refreshments and beverages are served afterwards so please indicate any special dietary requirements. For the class, please bring an apron, a cardboard box/shoe box, a towel, and (optionally) an empty paper milk container. You may also bring your own soap moulds if you wish to purchase them beforehand. You can find an excellent assortment of silicone types here*. 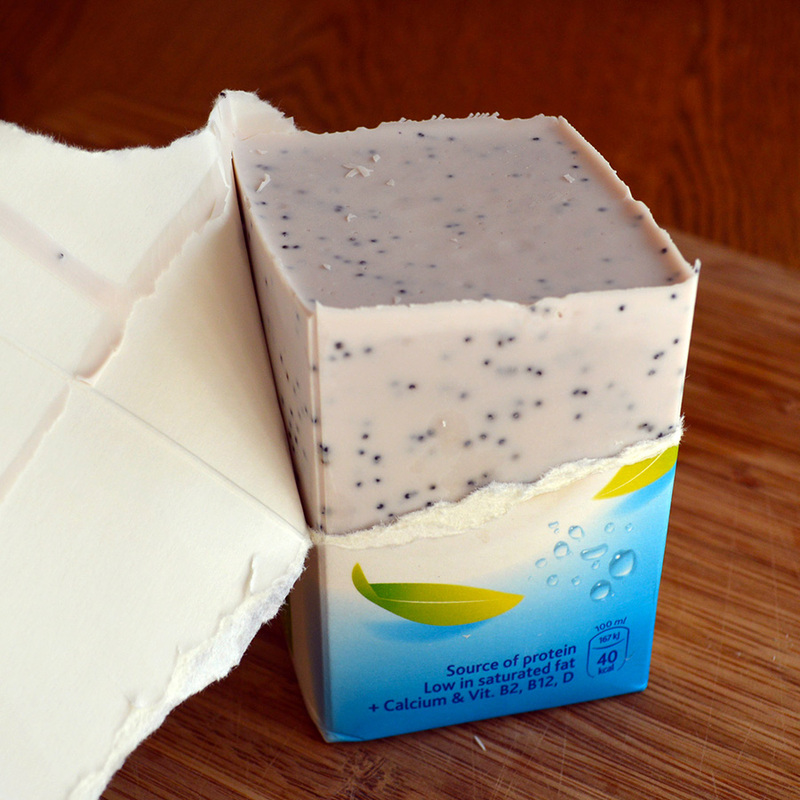 After your soap is made you’ll take it home and cure it for a month before using it. Further information and home instructions. If you’re interested in booking a private group or one-on-one lesson please be in touch. Flexible dates and times are available. The price for a private one-on-one lesson is £150. The price per person for a private group lesson will vary depending on group size — you can book up to eight people for a private lesson. My friends and I really enjoyed our afternoon making soap with Tanya. I thoroughly recommend it! What a lovely relaxing way to spend an afternoon! I’m so pleased with my soaps and my house smells beautiful at the moment. Thanks so much Tanya. What a lovely, fun, interesting and relaxing afternoon making soap. My daughter and I really enjoyed it. Tanya is such a good teacher, explaining the whole process in a clear way and was always on hand to give advice. She also follows up a couple of days later with more advice on curing the soap. 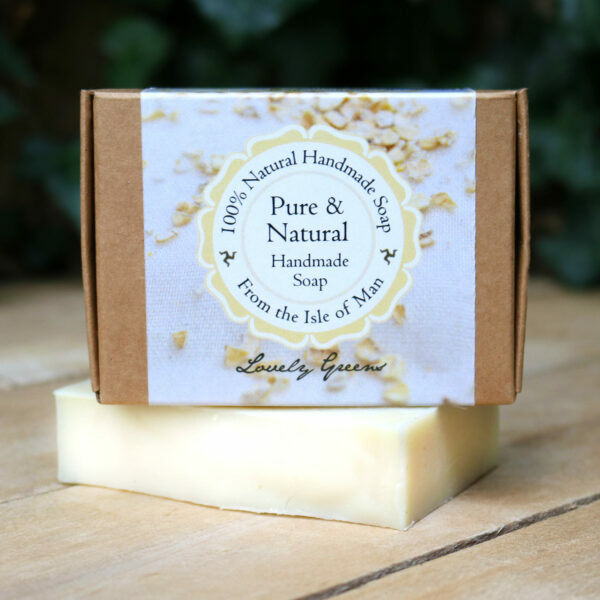 We now have some lovely bars of soap which will be ready just in time for Christmas gifts. The venue was perfect and the cookies were delicious. We highly recommend this class. Thanks Tanya. I loved Tanya’s soap making class! She is so friendly and professional. Everything was set up before we arrived so we could get down to the learning and fun. She explained everything as we went along and provided a relaxed environment, allowing us to get creative. It was great learning about the process while experiencing first hand how to make natural soap. I would highly recommend Tanya’s class as it is such a different day out. To top it off there was tea, coffee and chocolate cake with cream. What a spoil! What an amazing experience, we booked the class for a friends hen do and we all had such a wonderful time. I am super pleased with the soap I made and will cherish the skill that I learned on the day. Tanya is a great teacher and a total professional making sure that we all had fun but also were kept safe. Brilliant day out ! I would definitely recommend this to anyone looking to have an informative and fun day out ! One of the best workshops I have been on. 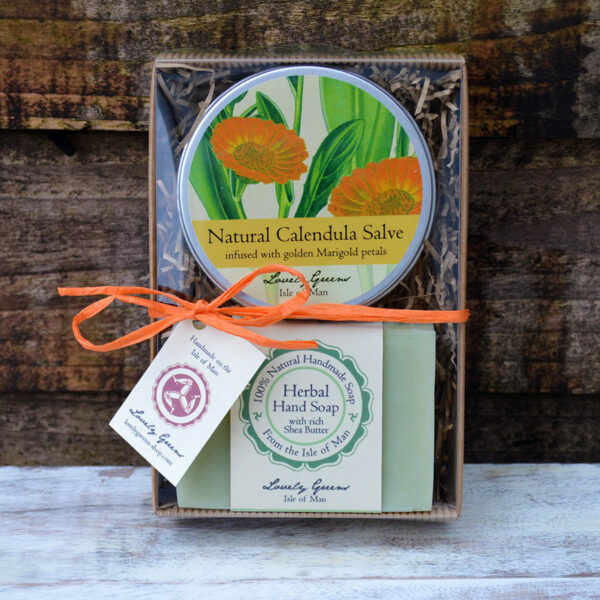 Tanya is an excellent teacher, giving us a great insight into soap making, and helping us with our own recipes, no rush to get on, plenty of time to mull fragrances and botanicals, while listen ing to the birds singing around the garden. And cat cuddles too! I am made up with my soaps, which were meant to be gifts but might be kept by me. A fascinating day, which I found really relaxing and fragrant, and made me want to do another class. What a lovely way to spend a few hours! Being a lover of homemade goodies, I was really looking forward to going on this course. It did not disappoint! Tanya was so knowledgeable and enthusiastic about soap making. You could tell just how much she loved the process and how passionate she is about using sustainable ingredients. 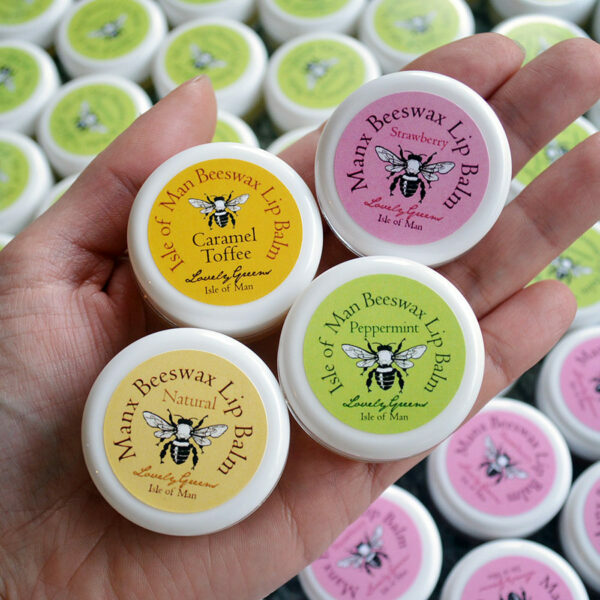 From the oils we used for the soap base, to scent combinations, she was a brilliant teacher! Thank you for a special day yesterday. I love learning new things and your workshop was well organised and so enjoyable. Lovely meeting new people too. I would thoroughly recommend an afternoon of soap-making with Tanya. 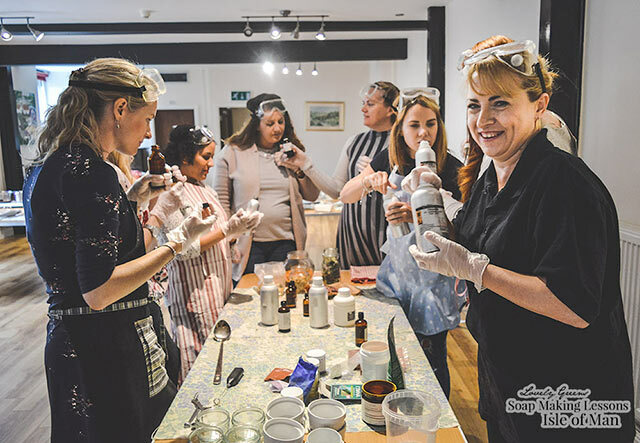 We had loads of fun and it was interesting to learn how natural soap is made, with the bonus of being able to keep 2 large batches each. Roll on 20 November when we can road-test our creations…! Thanks again. We made some lovely chocolate and vanilla soaps which made great Christmas presents and felt lovely and soft to use in the shower. It was a excellent way to spend the afternoon with your friends and we were given plenty of tea and very tasty honey cake to keep us going. I would recommend this work shop as we were looked after extremely well by Tanya. 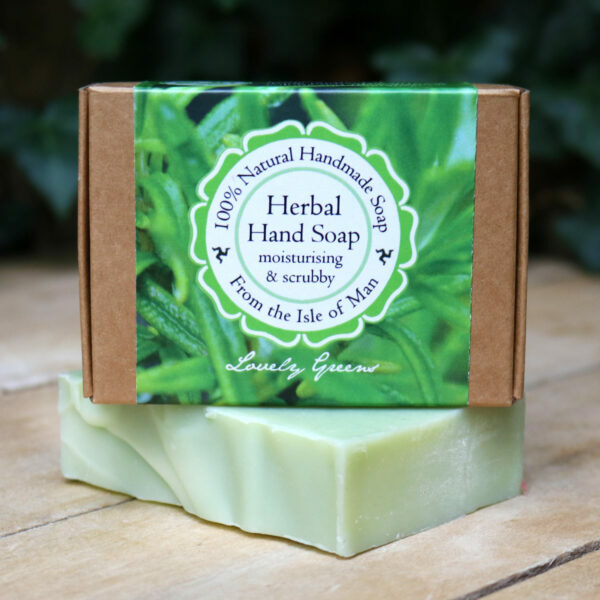 I just wanted to send a message to say how lovely the soap that I made at yours is! I’m really enjoying using it. I’ve also started using it to wash my hair! An experiment that seems to be working well so far. This was my second of Tanya’s workshops, so you can see that I enjoyed it. The first time was with a larger group and I went again with just two of us to reinforce the skills because I want to make soap at home, and also to learn how to do swirls and so on in the soap. I had a lovely day and am really feeling confident about making my own soap now. I am really pleased with how my soaps turned out and can’t wait to use them. As before, the session was really well organised and Tanya makes it all so easy. Highly recommended – don’t hesitate, treat yourself. 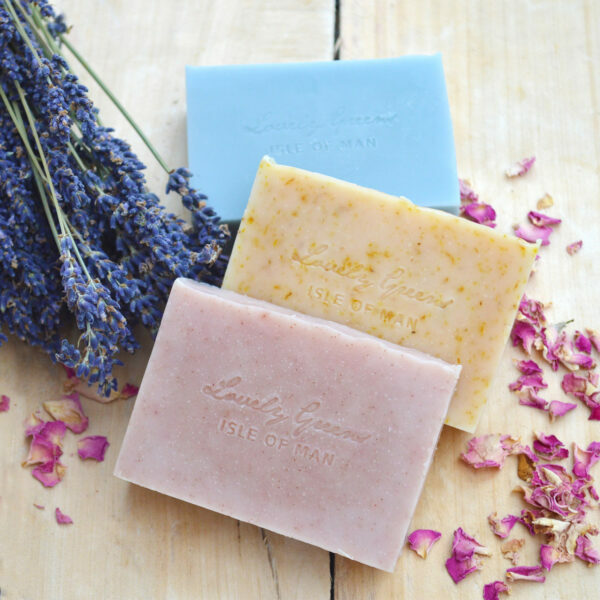 All the materials are included and you come out with two batches of gorgeous soap. 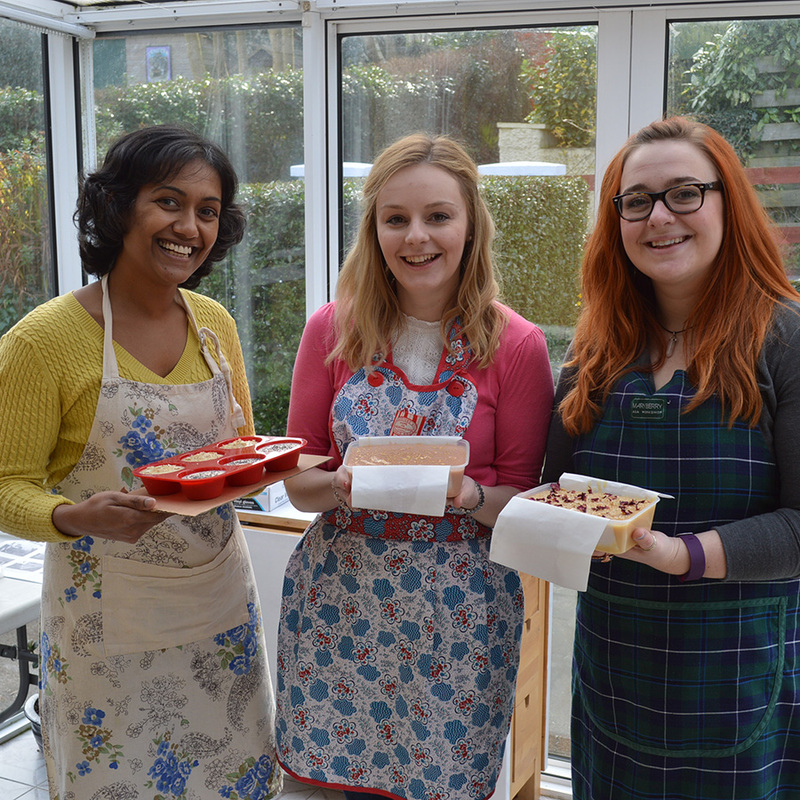 I had great fun on the Lovely Green soap making workshop. I hadn’t actually appreciated the chemistry that goes into soap making and I’m quite glad I didn’t try to attempt it myself at home! I still have the soaps I made and people love to receive them as presents. I went to one of Tanya’s soap making one to one sessions after receiving a voucher as a birthday gift. I can confidently say it was one of the best birthday presents! I’ve wanted to learn to make soap for a while but have always been put off by the chemicals involved. 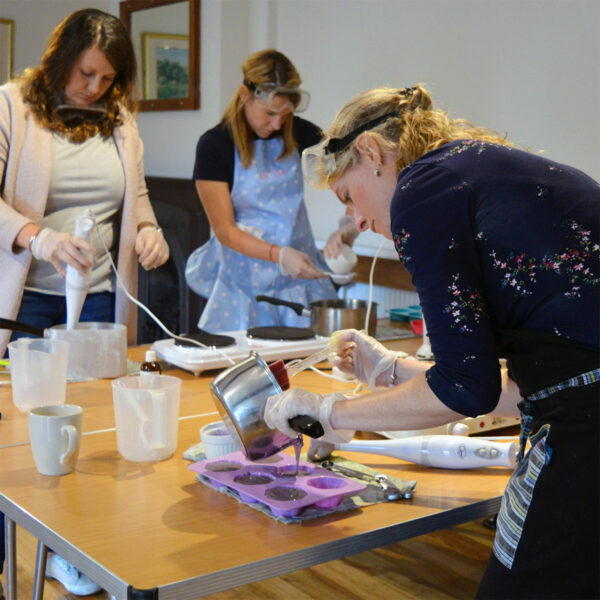 Tanya was a patient teacher and really explained things well – I felt totally confident in learning to make soap safely! The afternoon was loads of fun and the honey cake was delicious! 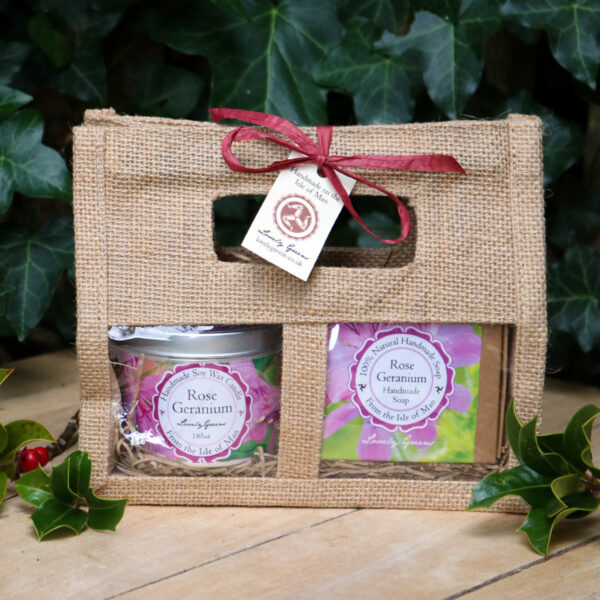 Plus you get to bring home plenty of soap to use later – a gift that keeps on giving! Getting to try out different essential oils and play with colors was really cool and the actual transformation of raw ingredients to soap was fascinating to see up close. I feel totally confident in trying to make soap at home now and with the clear written instructions Tanya provided I am sure I will be able to have a go at home. Now all I need to do is buy some ingredients to start what I am sure will be an addictive hobby! Although there are plenty of articles on the Internet about making soap there’s nothing like one to one training. Tanya’s course covers all of the basics and really sets you up for going home and trying it by yourself. The course really gave me the confidence to make my own soap and it is so fulfilling to create you’re own soap with you favourite essential oils and knowing that there is nothing nasty in the soap. And on top of this there was tea/coffee and flapjacks! 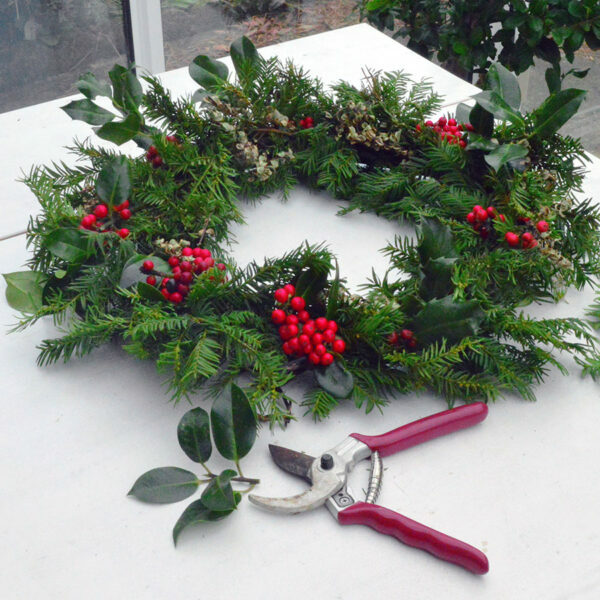 You can do the course on your own or with friends and Tanya is a great teacher.